The Gilead Sciences Parking Garage in Foster City, California showcases Móz’s ability to provide custom fabrication for large-scale corporate projects. Gilead Sciences is one of the world’s largest biotech pharmaceutical developers and Foster City, California is home to their worldwide corporate headquarters. In 2014, Gilead began a dramatic remapping of their 73-acre campus that included the construction of 17 new buildings to make room for their growing workforce. 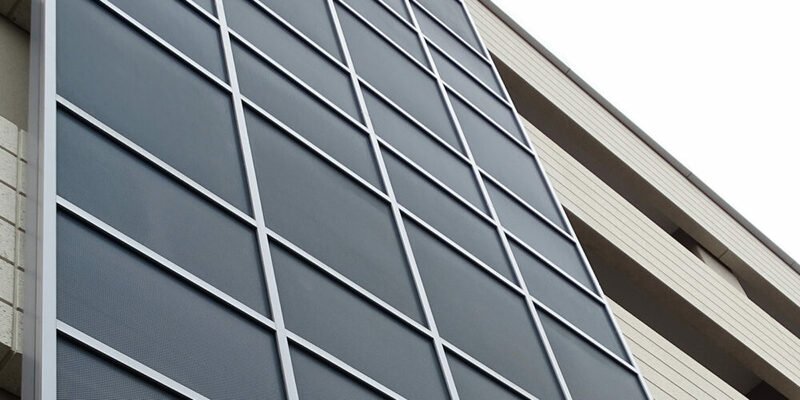 Contractors at Royal Glass sourced Móz to manufacture over 1,200 perforated aluminum panels in a custom Slate Blue Kynar finish for the exterior façade of Gilead’s new 6-level parking garage. 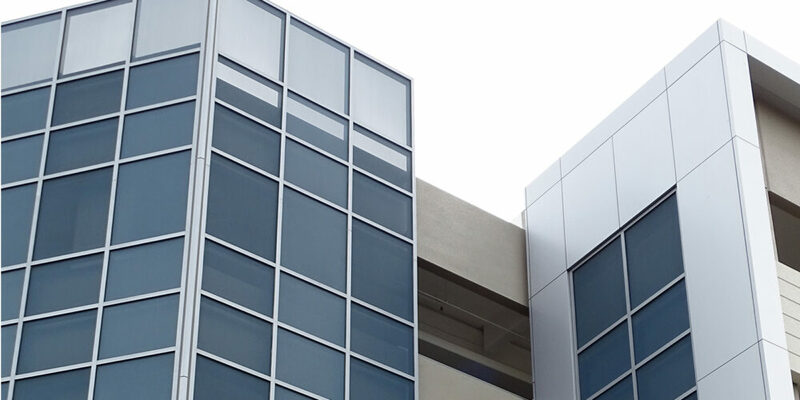 Finished Kynar aluminum is Móz’s premium grade sheet metal product and the industry standard for commercical exterior applications. 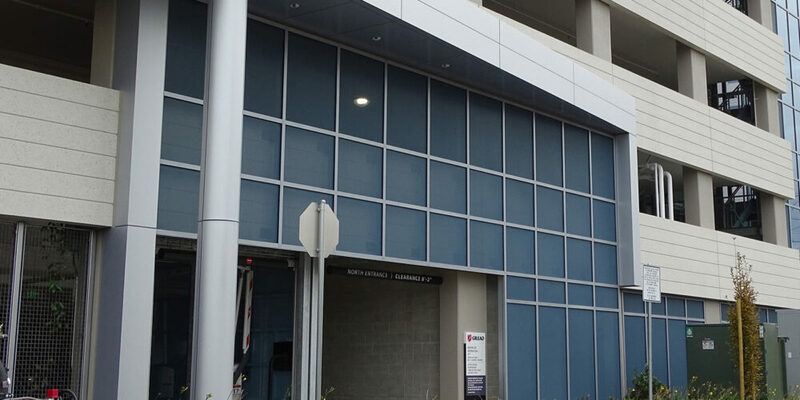 This high end performance material offered the ultimate resistance against weathering and fading for the Gilead Sciences Parking Garage and was finished with a layer of Duranar Fluropolymer PVDF coating for added durability, including a 20-year warranty. 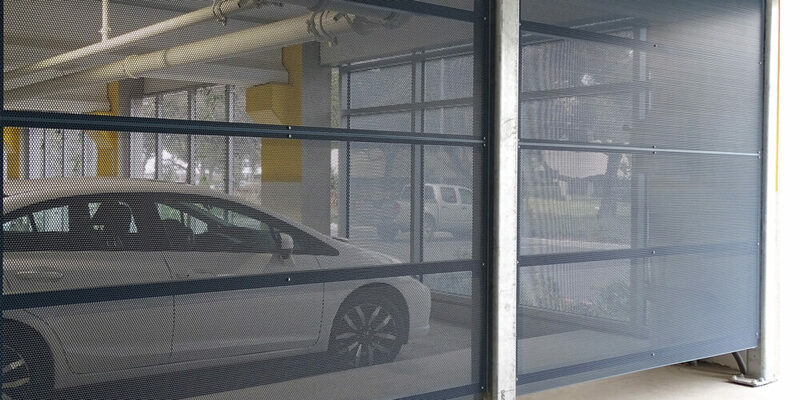 The perforated treatment allowed for natural light to illuminate the expansive square footage of the Gilead Sciences Parking Garage by adding a strategic architectural element and creating privacy screens from all exterior viewpoints. The aluminum metal product provided long-lasting, sheer mesh surfacing for this large-scale corporate project.